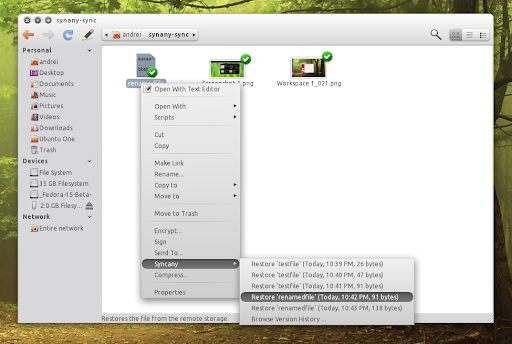 Syncany is a brand new open-source file sync software (similar to Dropbox, or Sparkleshare). "Oh no, not another Dropbox alternative" you might say. Well Syncany is different and has the chance to become better than other such applications. Read on! Besides the fact that it's open source, Syncany encrypts the data on your machine so your files are safe. 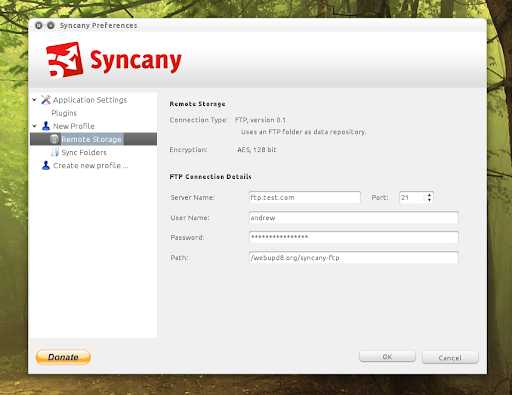 Further more, Syncany is extensible through plugins so it will be easy to add new protocols. Syncany currently supports FTP, Box.net, Amazon S3, Google Storage, IMAP (example: you could use Gmail or some other mail service that offers IMAP to sync your files), Local, Picasa and Rackspace Cloud Files, Windows Share and other protocols will be added in the future. 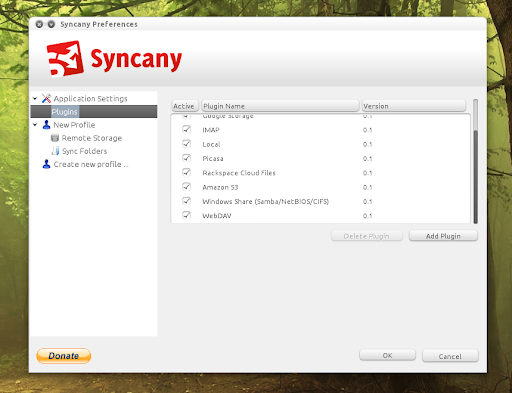 But Syncany will not be available for Linux only! Windows and Mac versions will follow. 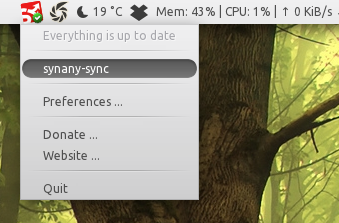 Syncany is currently unstable and a bit slow, but already functional. 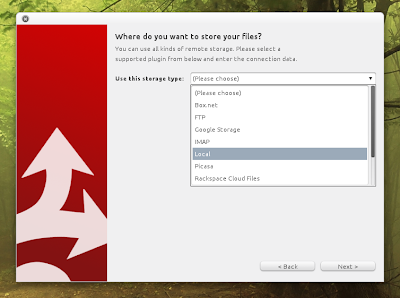 However, it lacks some features such as sharing a file (like copying its public link in Dropbox). Also, using multiple storage protocols was kind of buggy in my test. 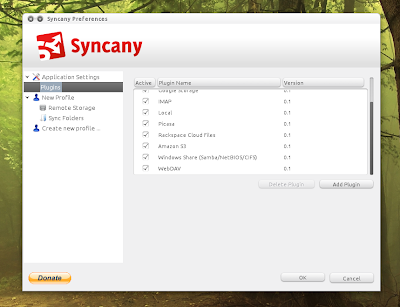 But Syncany has just reached the first public release so these issues were expected. Syncany is only available for testing right now. To use it, you must get it via BZR: https://code.launchpad.net/syncany and compile it. When it will become stable enough, it will probably be available in an Ubuntu PPA. For now Syncany only has one developer, Philipp, who is looking for people to help him with Syncany, especially for code review and the Windows / Mac parts so if you can help, contact Philipp (see links below)! You can also listen to Philipp's interview for Ubuntu UK Podcast HERE (it starts around 5:30 and it's about 15min long).